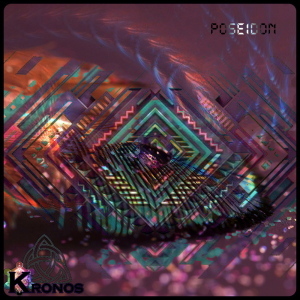 Poseidon is the first release by Kronos, an experienced Looney Moon label DJ from Italy. Apart from being active in the European psytrance scene he also conceived, in the role of producer, four experimental tunes designed to be a hybrid between twilight and forest music. Many conventional patterns of these styles were broken down to create a different vibe where leads, syncopated beats, and ambience intersect. Poseidon belongs to water, the element you can perceive in the liquid parts of groovy psychedelic tracks like the ones contained here. Mastered @ Wild Mastering, U.K., featuring artwork by Scyter Project. Oh yeah! Kronos … Now we’re groovin’! Kronos and Looney Moon Records is good stuff. I didn’t even have to listen to the samples before I hit the download button; this is how good they are. Good work!! Very , VERY good !! BooOOmMM !!! so much hidden details. one for relistening many times. this is as good as Ajja and all that! you can also transcent is in between, for some extended moments as a front layer.